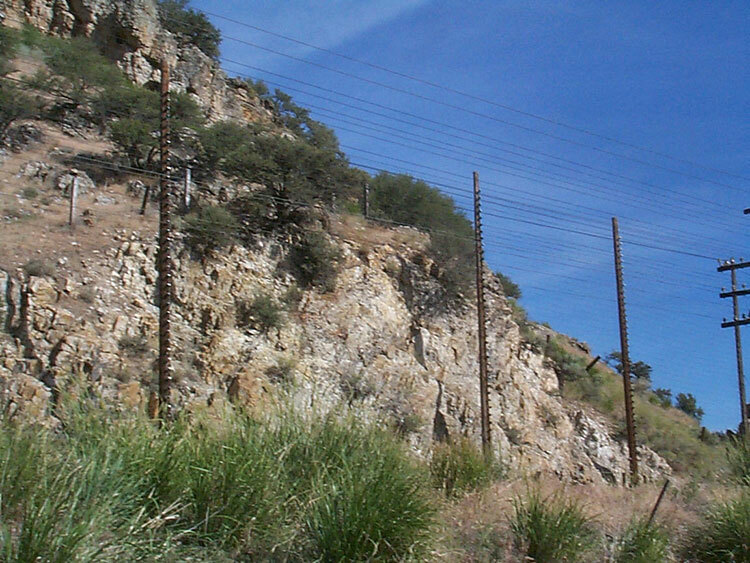 This is near steep a embankment where there is a tall 'electric fence' with what appears to be CD 154 Hemi-42s that is about 20 - 30 ft tall and running for 10 poles or more. "Those poles are part of a falling rock detector. Should an object come off the hill above that is big enough to break the circuit, it is also possible that it could derail an oncoming train. The broken circuit activates the block signal system and throws a red block on any train approaching that area from either direction. After contacting the dispatcher, the train proceeds at restricted speed, checking for broken rail or obstruction in the rail. "I am assuming the pictures you posted are on the old Rio Grande main somewhere east of Provo. I ran that line for a couple of years on Amtrak."